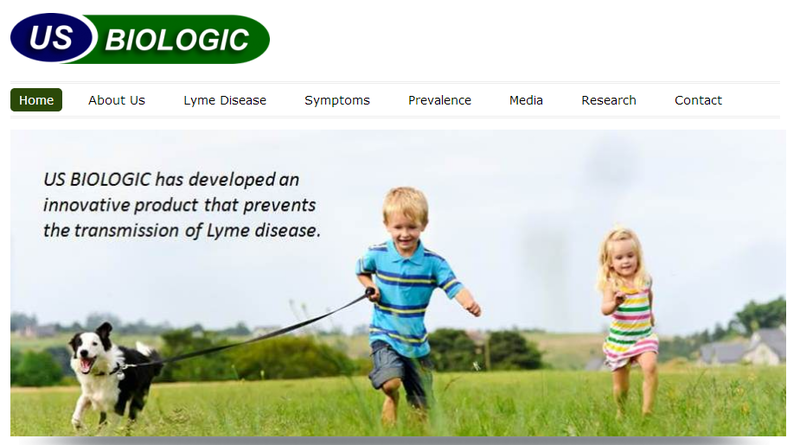 Earlier this week Memphis-based US Biologic announced the successful field trials of it’s revolutionary Lyme disease vaccine. The vaccine, given to animals orally, creates antibodies that then attack the Lyme disease passed on from a tick bite. Although the vaccine is being developed for animals, the company sees a connection between stopping the spread of Lyme disease in animals and doing the same for humans. Lyme disease is no joke. According to the CDC, it affects over 300,000 people in the U.S. each year and can cause severe damage to joints and the neurologic system. The CDC also recently linked Lyme disease with several deaths due to cardiac disease. What’s unique about US Biologic, though, is that they don’t plan on stopping at Lyme disease. The success of that vaccine proves that stopping diseases in animals will also help curb them in humans. They are essentially creating a platform from which they can develop treatments for any number of common diseases. Stories like that of US Biologic are what make “everywhere else” such a special place. We love all the technology that comes from Silicon Valley. Hey, we’re on Secret as much as the rest of you! But it’s awesome to see what smart people outside the Valley are capable of, even if it’s not the sexiest new consumer app. I probably won’t be bragging to my friends that I just gave my cat the latest Lyme disease drug, but when it keeps my family healthy, I’m sure going to be grateful to US Biologic. The ZeroTo510 startup accelerator in Memphis Tennessee is the first cohort-based medical device startup accelerator in the country. The joint venture between Start Co and Memphis Bioworks puts medical device companies through an accelerator program and helps shape scientists and engineers into startup founders. The other, important goal for ZeroTo510 is getting these medical device startups to the 510(k) approval from the FDA. This approval is a quicker path to market roughly based on the idea that your product is expanding on an idea or improving an idea previously approved by the FDA. In short a typical FDA approval for a new device can take anywhere from 3-10 years while a 510 (k) approval can shorten that time down to 1-3 years. All of the companies selected for the first two completed cohorts at ZeroTo510 (summer 2012 and summer 2013) werelooking to get that approval and get their product to market. We’ve covered Restore Medical almost from the point when founders Shawn Flynn and Ryan Ramkhelawan made the move from Atlanta to Memphis for the accelerator at the beginning of summer 2012. At that time both founders told Nibletz that they liked Bioworks and the cohesiveness of the Memphis startup community, despite the fact that Atlanta is a much larger city. Restore Medical has developed a system that more thoroughly, cleanly, cheaply and greenly sterilizes surgical instruments. The way surgical instruments are currently sterilized is time consuming. Not only that, but if one instrument is found to be unsterile the entire batch of instruments for a particular surgery needs to go through the process again. This can take hours at a time, so the OR teams must make a decision on whether to wake up the patient or to keep the patient under anesthesia which can be costly for the doctors and the patients not to mention dangerous. “Our product allows hospitals to clean and re-sterilize surgical instruments more efficiently, saving time and money,” Flynn, the company President said in a statement. “More importantly, it improves the sterilization process, reducing the chances that a patient will be infected by contaminated instruments. Restore Medical Solutions announced on Thursday that they had received their FDA 510(k) clearance. The company is also pleased to announced that it has successfully completed the certification process for internationally recognized medical device specific quality management standards ISO 13485:2003 and the Canadian Medical Device Conformity Assessment System (CMDCAS). Certification was conducted by BSI Group, one of the world′s leading certification bodies. “These clearances allow us to market our products domestically and internationally, and they show that our product is safe, effective and meets regulatory requirements in both the United States and Canada,” said Ramkhelawan. Restore Medical Solutions is moving into a larger 2500 square foot space in the Memphis Bioworks complex which will allow them space for assembly and distribution. You can find out more about Restore Medical Solutions here. This week we will preview some of the best startup panels that are up for consideration at SXSW Interactive in March. SXSW gets thousands of possible panel, speakers, book reading and other content submissions for their “panel picker”. If you’re a startup founder, entrepreneur or influencer with a startup related panel please email us with a link to the panel information at startups@nibletz.com. archer>malmo is a Memphis based PR and marketing firm that’s been around for 60 years. They have huge clients like Pfizer, Verizon and RJ Reynolds. But they also work with startups. Not only do they do work for startups but they have a a venture firm called a>m ventures that invests creative capital into new startups, for equity (*disclosure Nibletz Media Inc is an a>m ventures portfolio company). With their vast experience in startups and working with all kinds of new and young companies, they’ve seen and learned some great (and not so great) things that are definitely worth sharing with other startup founders. Last year, they held a well attended panel called “When Bad Names Happen To Good Startups”. The panel discussed the importance of naming and how sometimes that name that goes with that cleve URL may not be the best decision ever. They also discussed the ins and out and why’s of choosing a name. For most companies you’re stuck on it, or some version of it for life. This year they are hoping to expand on that theme with an equally as important topic, branding. “When Bad Brands Happen To Good Startups” ” Gary Backaus, Chief Creative Officer/Director and Justin Dobbs Creative Director at archer>malmo, were the speakers for last years panel and will also be speaking on this panel as well (if selected). We get it. Whether it’s an investor intro, an online listing, or your elevator pitch, there are times when capturing your startup concept in a few words is critical. But talking to customers? It ain’t one of those times. Yet for some reason many startups continue to court customers with the same robotic sound bites used in their pitch. And while a digestible “My Unique Feature” formula is fine for accelerator applications, in the real world, you aren’t pitching a business model or market niche. You’re pitching a product. And even the simplest, fastest, shiniest, funnest product needs more than a value prop and a clever name. am>ventures Director and Everywhere Else Cincinnati speaker, Patrick Woods, has also submitted a panel for this years SXSWi panelpicker. Woods just got back from being one of the “mentors” for the new SXSW V2V festival in Las Vegas earlier this month. 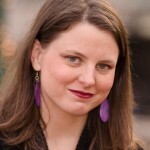 Woods has a long background in PR and marketing with the past few years spent exclusively with startups. As the director of am>ventures he’s tasked with finding the startups that the firm wants to invest it’s creative capital in. Woods also mentors through local accelerators, does office hours via Skype and Google hangouts and both writes and speaks on startup branding and marketing. “Branding From Day Zero: Startup Brand Strategy” is the discussion Woods has submitted. Startups don’t need tips and tricks. They need an understanding of brand strategy—what it means and why it matters. And ultimately, how to do it from the beginning. Name, logo, t-shirts, stickers—these are all parts of brand, but what undergirds the whole system? Brand strategy. Startups usually skip this crucial phase. And it shows. I’m a hybrid ad man/startup guy who’s built brands for everything from an event discovery app to an AI system. I’ve seen tons of branding tools, but none specifically those starting from scratch. This talk will explore a way forward specifically for startups. We’ll move past the tips & tricks and focus on a few actually helpful questions for building a great brand that resonates with your audience and build long-term loyalty.” Woods wrote on his panelpicker page. Launch Tennessee, the private/public partnership that oversees 9 accelerators across the state, is running a “super accelerator” of sorts, appropriately called the TENN. The TENN starts off with a statewide demo day on August 27th in Nashville. 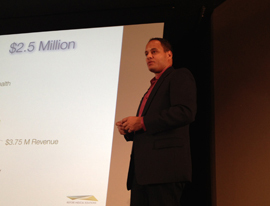 At that event, 20 startups, announced on Thursday, will pitch their business. A group of national investors and entrepreneurs will narrow that field from 20 to 10 at the statewide event. The demo day investor panel includes Sabeer Bhatia, chairman and CEO of Sabse/Jaxtr and founder and former CEO of Hotmail; John McIlwraith, managing partner at Cincinnati, Ohio-based Allos Ventures; John Greathouse, general partner at Santa Barbara, Calif.-based Rincon Venture Partners; Sig Mosley, managing partner at Atlanta, Ga.-based Mosley Ventures; Bob Crutchfield, partner at Birmingham, Ala.-based Harbert Ventures; and Mike Tatum, serial entrepreneur and CEO of Workbus. Governor Bill Haslam will announce the 10 companies that will comprise The TENN.
After the TENN is announced they will embark on a statewide bus tour, parading the startups in front of the state’s biggest companies and innovators. The TENN group will also have access to a master mentor network pulling from all nine accelerators. The TENN startups will also receive free office space, either at one of the regional accelerator headquarters or receive a subsidy for office space. Launch Tennessee partnered with the Blackstone Foundation to hold the TENN program. In 2010 JumpStart received funding from outside sources to take the lessons learned in Ohio to other parts of the country. Since then they have partnered with 15 other regions to grow local startup ecosystems and create jobs. JumpStart’s approach involves working with local leaders to identify a region’s strengths and build from there. They have a presence in regions like upstate New York, Baton Rouge, Detroit, and central Georgia. And, now they’re coming to Memphis. We write a lot about Memphis here at Nibletz. Part of that is because we’re based here, but it’s also because we believe in the possibilities in this city. Currently the city has a 9.5% unemployment rate, the highest of all metro areas of more than 1 million people. That number is pretty bleak, but entrepreneurs like ones that Start Co helps launch are a bright spot in the city. Memphis also has a history of racial tension, which probably comes as no surprise. Yet the Fowlkes and co-president Eric Mathews know that to really pull Memphis employment up, everyone needs to engage. 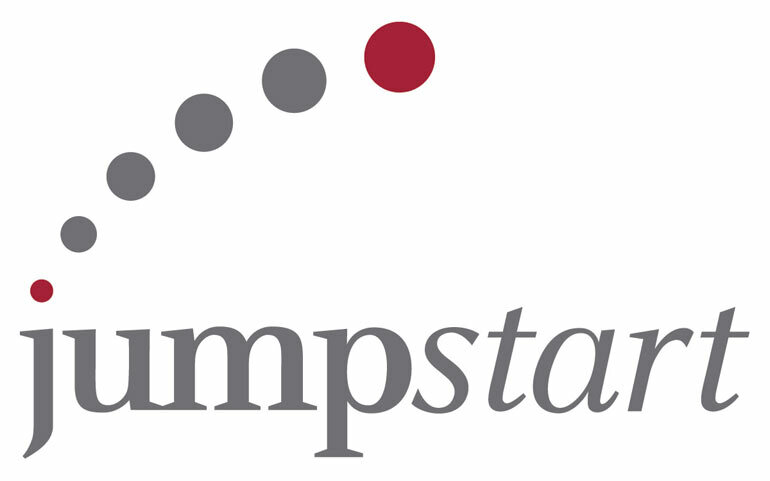 With their history in Cleveland, the folks at JumpStart have experience in reaching out to diverse groups of people and encouraging entrepreneurialism. 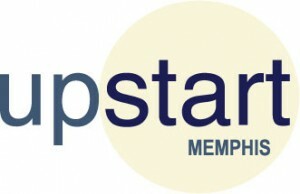 So, how do JumpStart and Start Co plan to grow jobs in Memphis? Like any good startup, they are still in the customer discovery phase of the project. Over the next few months, they will be talking to local leaders, universities, and entrepreneurs to begin to figure out what Memphis needs. At the end of the discovery phase, they hope to have a 5-year plan that will accelerate Memphis’ growth as a leading startup ecosystem. 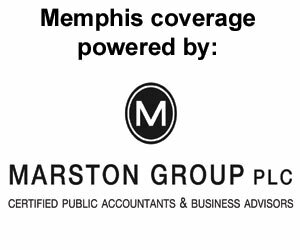 The Accelerate Memphis Project hopes to secure at least $50 million in investment capital and another $15 million for technical assistance, support, and pre-seed investment money in the next 5 years. Memphis and JumpStart are a natural partnership, and both expect great things for Memphis in the coming years. Check out the JumpStart Inc and Start Co websites to learn more about those organizations. Last year August was Demo Day month in Tennessee. During the month of August (on consecutive Thursdays no less), Chattanooga’s GigTank, Memphis’ Zeroto510, and Nashville’s Jumpstart Foundry all held their demo days. The month of August was a true testament to the strong commitment to startups and entrepreneurship that exists across Tennessee. We were fortunate enough to attend all 3 accelerator demo days and a variety of startup events that went along with those programs. This year, Tennessee has condensed it all into one week, sans the Jumpstart Foundry demo day which is on August 22nd. 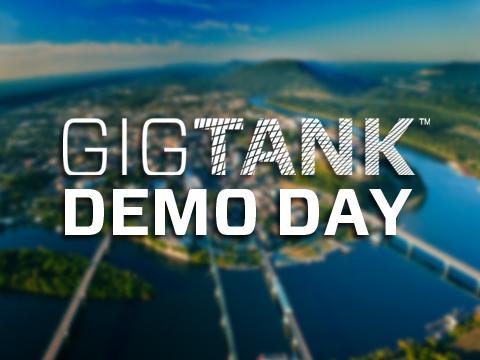 The week kicks off in Chattanooga, Tennessee today with some pre-events surrounding GigTank’s demo day on Tuesday. On Demo Day, the current class of startups who spent their summer in the GigTank will show off their work. The startup accelerator, now in it’s second year, gets it’s name from being the first accelerator on citywide gigabit ethernet. The gigabit ethernet, and big entrepreneurial ideas, are why Bob Metcalfe, the creator of ethernet, is the keynote speaker for the GigTank’s big day. Wednesday the festivities move about 150 miles northwest to tiny Spring Hill, TN. Spring Hill is home to a major GM plant and, this year, the Southern Middle Tennessee Entrepreneur Center’s autoXLR8R. autoXLR8R focused on technologies applicable to the automotive industry, and as per usual the companies will graduate with a demo day. Finally we head to Memphis where ZeroTo510 will hold their second demo day on Thursday. ZeroTo510 is the first cohort-based medical device accelerator. Stay tuned to Nibletz all week long for coverage of demo day week in Tennessee and then again August 22 for Jumpstart Foundry’s demo day. 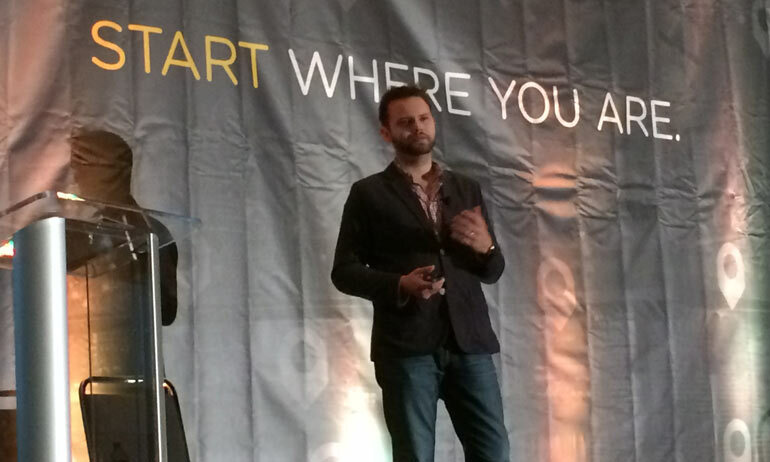 Don’t forget everywhereelse.co The Startup Conference is also in Tennessee, in February! Who would choose to work for some entrepreneur they met at a coffee shop, for little pay, unconventional hours, and without promise of Google-like fortunes? They may have a fantastic idea that will solve some great problem in modern society, but right now their eyes are bleary from too much caffeine and a scalding Macbook. It’s hard to believe in them. Startups not only face difficulty in convincing prospective investors and clients, but also potential employees whose talents would make a valuable contribution to the ever-growing company. Capital might not be the greatest resource at your disposal, but your people are. As entrepreneurs, it’s easy to fantasize about the kind of company culture you’d like to foster in the future: throngs of employees working diligently and creatively, in between collective games of Call of Duty. In reality, culture building happens the moment one other person says ‘yes’ to joining your crazy idea for a company. The famed animation studio Pixar faced the same struggle to build culture. The production house that totes 27 Academy Awards on its mantle started out with sleep-deprived, passionate people who took a chance on an idea they believed in. Since its inception in 1979, Pixar has taken many directions, from producing special effects for Star Trek to working on a commercial for Listerine. Despite the change in vision, structure, or ownership, the individuals who were so passionate about their craft and creating a company notable for what it offered the world made Pixar great. By no means did this happen without investment and capital, but it started with the right people. One of the really important features of our company culture is a strong emphasis on trust and validation. In our industry most young, ambitious animators want to go work for the larger, more legendary studios in New York or Los Angeles, where they will probably be made to work longer hours and receive little credit. While this is the reality of many recent graduates and young professionals in their career development journey, we try to value and recognize each accomplishment made, whether that’s with bonuses for especially noteworthy projects or getting taken out to lunch because someone forgot to bring theirs for the day. Every person, no matter how old or how young, desires a place in a community and to feel like their work is valued and contributes to something greater than themselves. We may not have the notoriety of a large studio, but what defines our culture is how satisfied and ambitious those brave souls are who have joined our growing studio. Investing in human capital proves to be just as important as your real capital. Find those select few who invest their time, talents, and future in your company, because those are the ones who will be there at the end of the day, even when financial backers may not be. Here at Nibletz, we cover mostly high-growth technology startups. Even with a lot of noise in the space, we ultimately believe these are the ventures that are shaping our world. But, every so often we come across a different kind of venture that we just can’t help but write about. 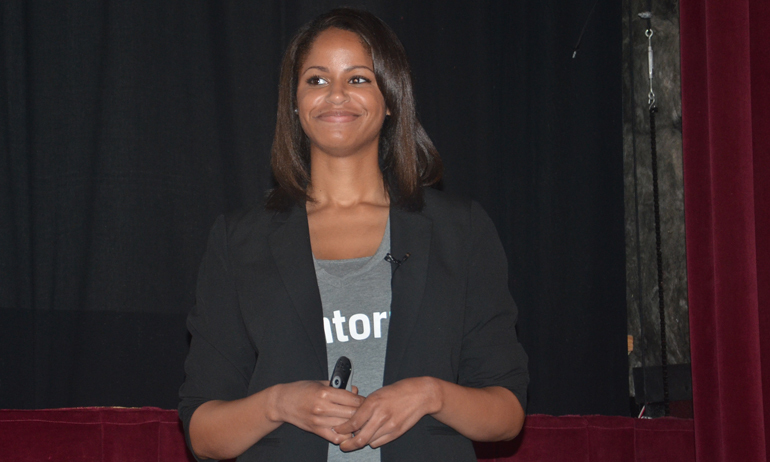 Last month I attended the Demo Day of the Memphis edition of the NewME PopUp Accelerator. I was blown away by the great ideas and the caliber of entrepreneurs in the room. One in particular is not starting a tech company. In fact, she’s going into education, a rocky field at best. But, I was so impressed by her and her venture, I couldn’t help but share it with Nibletz readers. Alexandria Lee knows firsthand what it’s like to grow up struggling. The daughter of a single mom and a drug addict dad, her story could have been one of the thousands of tragedies happening in American schools every day. Except for that one teacher who challenged her to do more. Thanks to him–a transplant from Senegal–she switched to honors classes and surprised everyone by graduating not just from high school, but also from Spelman College and Harvard Law School. Now, Nashville-based Lee has a new vision for education for African-American boys. “9% of black males in the 8th grade can read at a proficient level,” she said in her NewME pitch. Well, obviously, that’s not acceptable. Lee’s solution is to open a school in Ghana and transplant at-risk boys for a few years of out-of-their-element education. Besides honors-level classes, the boys will be paired with a local student to learn leadership and entrepreneurship. They will work together to devise community action plans that solve real problems in the local community. The school wants to teach African-American boys where their roots really are, not in the tragedy of slavery, but in the deserts of Africa. 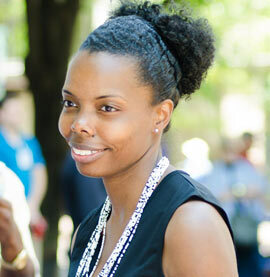 “Our goal is to transform discarded youth into community leaders. Our students will come into the program underperforming. We will first catch them up, and then excel them past their classmates back home. But, more than just academic gap closure, our students will be trained in emotional competence, given the desire to serve others, and learn manhood lessons. At an early age they will become global citizens and return to their communities with broadened horizons, prepared to begin finding solutions to ills within their own communities,” Lee told me in an email. The Anew School will receive charter school funding from the state of Tennessee, but they will also supplement with donations from private foundations. They already have some land in Ghana and will begin building soon. Check out The Anew School on Facebook and Twitter. 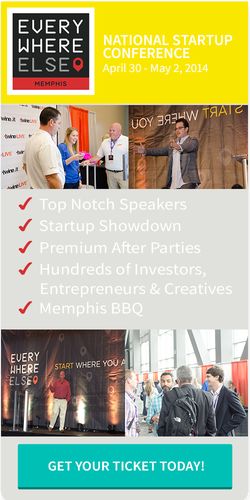 Other great things happen in Memphis, like the biggest startup conference in the world for startups everywhere else.